Enjoy over 450 food items on 14 large Buffet Bars! Sushi Bar, Chinese, Japanese, American, Mexican Cuisine and More!!! 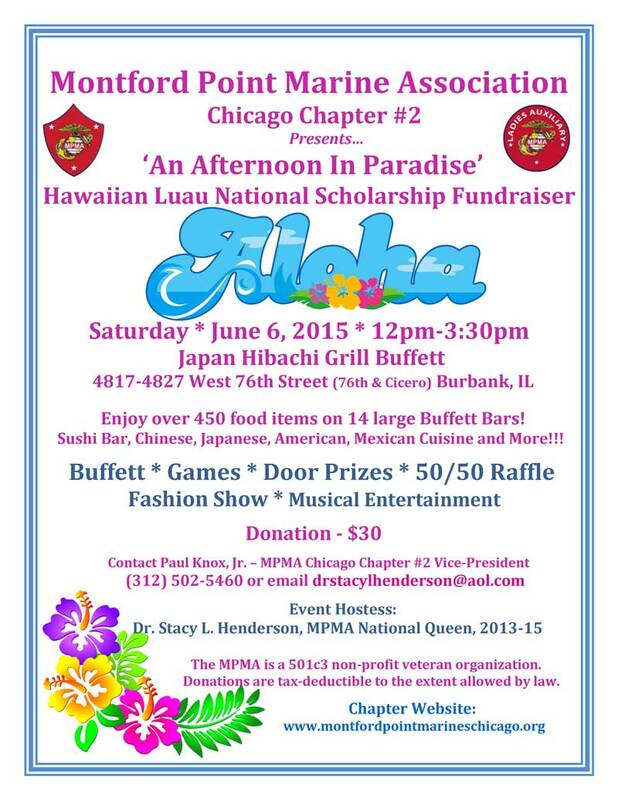 The MPMA is a 501c3 non-profit veteran organization. 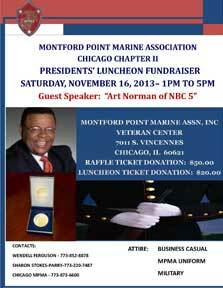 The Coalition of Veterans Organizations (CVO) will hold it’s next meeting on Saturday, August 16th from 10 AM to 12:30 PM at the Montford Point Marine Association, 7011 S Vincennes in Chicago. We’re going back to Montford Point! Make sure to attend! We’ll be having a presentation on the Crisis Hot Line from the Jesse Brown Suicide Prevention staff. We’ve received another response from the VA in Washington, DC in response to our letter about the Crisis Hot Line! Come to the meeting and hear the latest! Plus, much more! Coffee and donuts will be served (as usual)!! Be early so we can get started on time!